Available in 1/4 and 3/16 inch sizes. Compression to 1/8 inch NPT connector fitting and mating 1/8 inch NPT weld fitting. 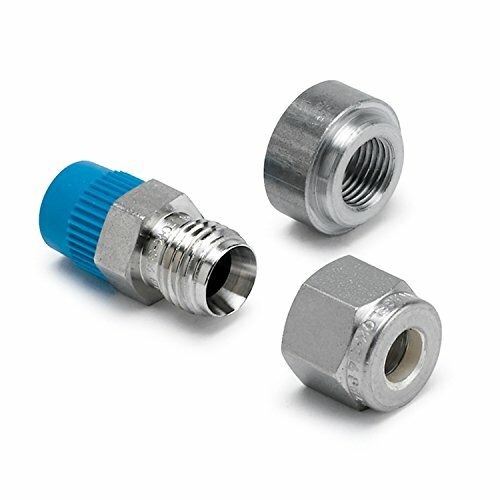 1/4 inch compression to 1/8 inch NPT connector fitting and mating 1/8 inch NPT weld fitting.